Why Buy Royal 3D Carousel? Packed with tone of options allowing you to control the layout of your 3D carousel in the way that pleases you the most. Support for old browsers like IE7 and IE8, on older browser that don't support CSS3 the carousel will be displayed in 2D mode. Support for multiple categories and each category can have its own set of thumbnails. Royal 3D Carousel can be used in any type of HTML page including WordPress, take a peak at this WordPress Demo (please note that this is NOT a WordPress plugin!, the carousel must be installed manually with html code and the content uploaded with a ftp client, we have included a tutorial about how to install it in WordPress). Source code and files included! 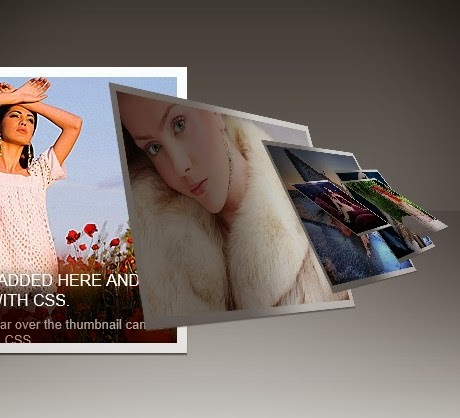 If you need the WordPress Plugin version of Royal 3D Carousel look for the product Royal 3D Carousel WordPress Plugin.